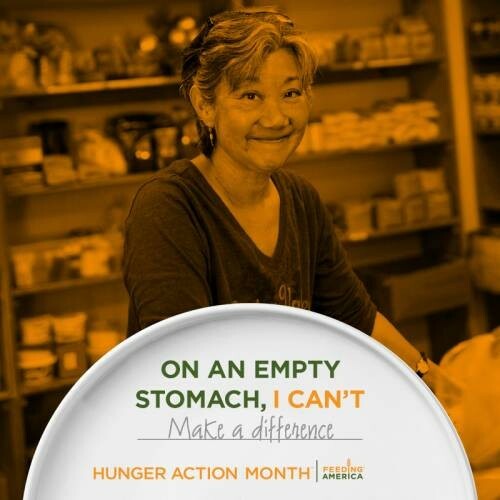 September is Hunger Action Month– a time for the Feeding America network of over 200 foodbanks and those who support taking action on the issue of hunger. One issue. Many activities. This year, be a Hunger Hero and help us promote awareness and inspire action to end child hunger. A great first step is marking September 13 on your calendar for Hunger Action Day! Get those orange shirts ready to show your friends, family and co-workers how important the hunger issue is to you! Hunger Action Day is also the Congressional Farm Bill Call-In Day to tell your members of congress to protect SNAP and strengthen TEFAP. We urge you to call your congressional representative. Click HERE to find out how to participate. Our new Mobile School Pantry program starts this month! Months of preparation and planning went in to developing these school partnerships and securing funding. We’ve joined forces with Lorain, Clearview and Midview school districts for children and their families have access to healthy, nutritious food at the monthly distributions at the five middle school sites. Hunger Action Month concludes with a celebration at our 13th Generous Helpings event, held in our warehouse. Over 600 people come together to enjoy a unique evening of amazing food, wines & brews, live music and good company. Every guest helps us distribute over 300 meals! 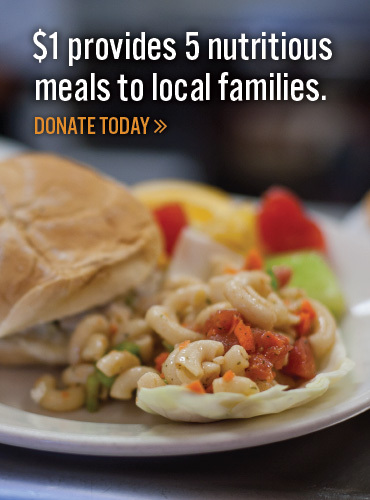 Each year an estimated 80,000 people in our region rely on help from a food pantry or hot meal program. Our hope is new friends and old will be inspired to be a Hunger Hero and take up the cause with our vision in mind – a brighter future for all by creating a healthy and hunger-free community! In the words of Maya Angelou – “A hero is any person really intent on making this a better place for all people”. 13th Annual Generous Helpings: a Success!